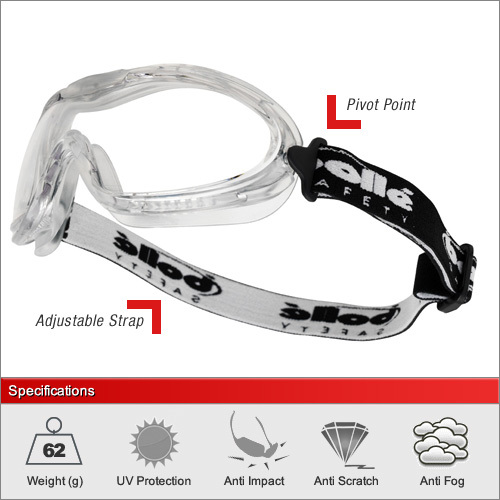 One of the worlds lightest and most slim-fitting pair of safety goggles. They incorporate ventilation to the anti-scratch lenses which also have been treated with an anti-fog coating. 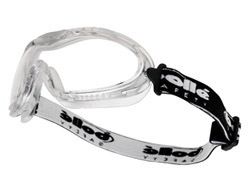 An adjustable strap is connected via special ball-pivots to allow them to fit at various angles around the head for comfort. They are B rated to withstand impacts twice that of safety glasses even at extreme temperatures. They are however not certified to EN166 category 9 for resistance to molten metals. For this kind of protection please see the Tornado or Pilot.